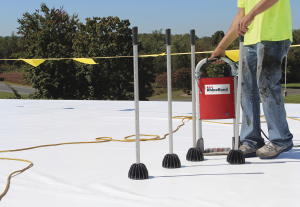 Composite products can help simplify insulation installation on high-traffic roofs. It’s no secret that the roofing industry continues to suffer a severe shortage of skilled labor, resulting in lost business and profits. Former National Roofing Contractors Association (NRCA) chairman of the board Nelson Braddy Jr. was quoted in the Wall Street Journal last fall saying his Texas roofing company had to decline $20 million in projects over the past two years due to worker shortages. “It’s the worst I’ve seen in my career,” he said. While there is no silver bullet to fix this problem, using materials and methods that simplify installation can help you maximize the people you do have, and potentially even reduce material costs. It’s a win-win for improving profitability. This article highlights some simple-to-use options for streamlining insulation work on re-roofing jobs and new construction. When it comes to insulation, roofers can choose from several commonly used rigid foam insulations: polyisocyanurate (polyiso), extruded polystyrene (XPS), and expanded polystyrene (EPS). The first step in reducing insulation costs is to consider which metric matters most to your bottom line. As the job of insulation is to reduce heat loss through the roof assembly, many manufacturers promote their products’ R-value per inch of thickness. Although this can be helpful if the goal is to build the thinnest roof assembly possible, it says nothing about the material’s benefit vs. cost. To figure out which insulation products will give you the biggest bang for your buck, it is important to evaluate the R-value per dollar. Figure 1. R-Value per dollar for common types of insulation, including materials and labor. 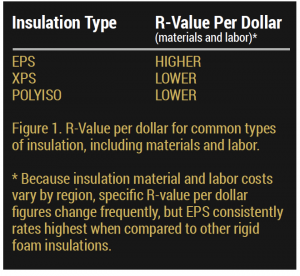 The table in Figure 1 compares how rigid foam insulations stack-up for R-value per dollar. While specific R-value per dollar figures change frequently, EPS consistently rates highest when compared to other rigid foam insulations. 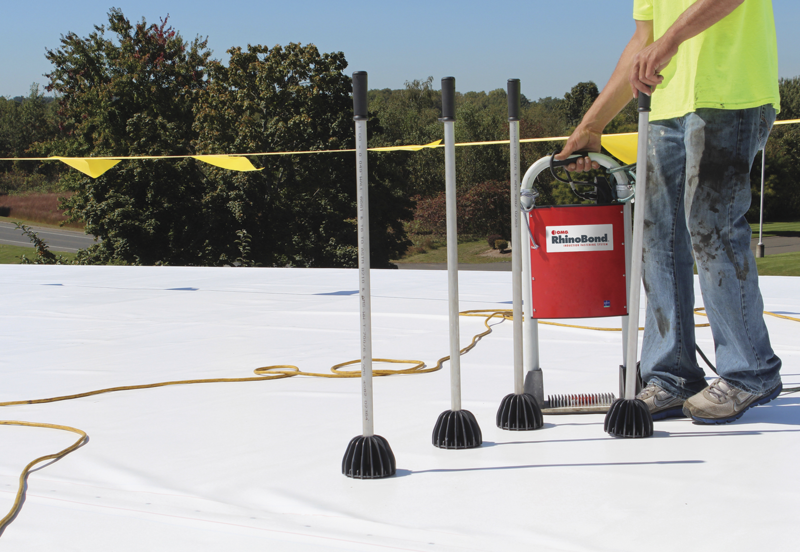 For roofing pros who select EPS insulations for their benefit/cost advantages, along with outstanding moisture performance and stable long-term R-values, following are five practical ways to help save tens of thousands of dollars, or more, depending on your job’s size. 1. Build-up of low-sloped roofs. Converting a flat or low-sloped roof to a greater slope for better drainage typically requires roof crews to stack multiple layers of insulation. This can be a labor-intensive process with XPS and polyiso, as crews must haul and place numerous rigid foam sheets of only a few inches of thickness. By comparison, EPS insulation is available in blocks up to 40 inches thick. As some manufacturers will cut those blocks to virtually any slope and any shape to fit roof crickets, saddles, valleys and ridges, tapered EPS speeds insulation installation, and can reduce roof insulation costs up to 30 percent compared to other tapered insulations. The saved man-hours can be deployed to other jobs to help you build your business. Additional cost savings result from reduced dumpster fees to dispose of insulation cut-offs. 2. Roof re-covers. 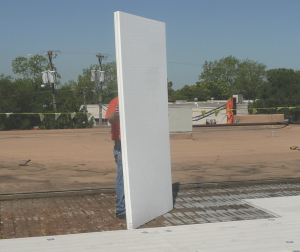 An easy-to-use option for roof re-covers is EPS panels pre-folded into bundles, and with polymeric facers on both sides. Such products are available in standard sizes up to 200 square feet, comprised of 25 panels that are 2 feet by 4 feet each. A typical two-square bundle weighs less than 11 pounds, so is easy for one person to carry. Fan-folded bundles of EPS require fewer fasteners per square foot than most roofing insulations, and are less expensive than virtually every re-cover board. The man-hours needed to install fan-fold bundles are about 60 percent less than individual sheets. Material costs are also lower than wood fiber, perlite, or gypsum board. On large projects, the total savings can add up to tens of thousands of dollars. Flute fill insulation helps reduce labor costs on re-covers of standing seam metal roofs. 3. Metal roof re-covers. Up to 70 percent of metal roofing jobs involve standing seams. Both architectural and structural standing seams make it challenging to create a flat, stable surface during roof re-covers. A simple way to insulate the roof and provide an even surface for other parts of the roof assembly is to install “flute fill” insulation. Such products fit between the spaces of the metal roof’s flanges and are designed to fit into place easily. An advantage of EPS flute fill over other insulations is that it can be custom-cut to fit any metal roof flange profile. 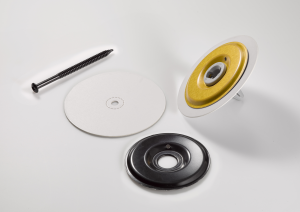 It also comes in a range of compressive strengths suitable for nearly any roofing application. 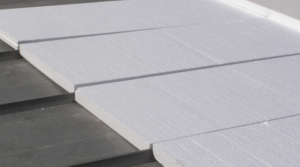 EPS flute fill can save up to 25 percent in costs compared to similar polyiso products. 4. High-traffic roofs. 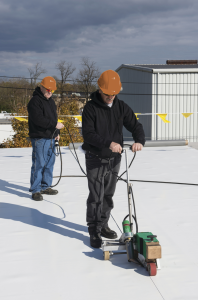 For roofs that need additional strength to withstand foot traffic and severe weather, an ideal option is composite insulation. 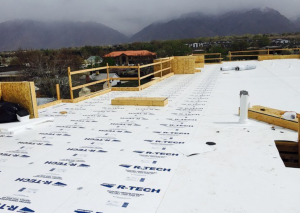 One product incorporates EPS as a lightweight, insulating and resilient insulation, while a polyiso layer serves as a durable, insulating cover board. Some composite products of this type carry a UL Class A fire rating for both combustible and non-combustible decks, and are compatible with a range of roofing membranes, including EPDM, TPO, PVC, CSPE, as well as low-sloped, built-up and modified bitumen membrane systems. The Facebook headquarters garden roof uses EPS geofoam as a lightweight fill material to form landscape contours. 5. Planted roofs. For planted roofs that include landscape contours for hills and valleys, roofers face the challenge of not adding excess weight while defending against moisture intrusion. An effective solution is provided by EPS geofoam. Successfully used in civil engineering and building projects for decades, the material is an ultra-lightweight engineered fill that can be used to create contoured landscape features such as hills and valleys. EPS geofoam weighs from 1 to 3 pounds per cubic foot, depending on the product type specified, compared to 110 to 120 pounds per cubic foot for soil. And, as EPS geofoam dries quickly and has minimal long-term moisture retention, it helps defend planted roofs from moisture intrusion. The project team for Facebook’s MPK 20 building in Menlo Park, California, used EPS geofoam in the building’s 9-acre landscaped roof. Landscape contours, more than 400 trees and a half-mile walking trail create a relaxing, park-like setting. 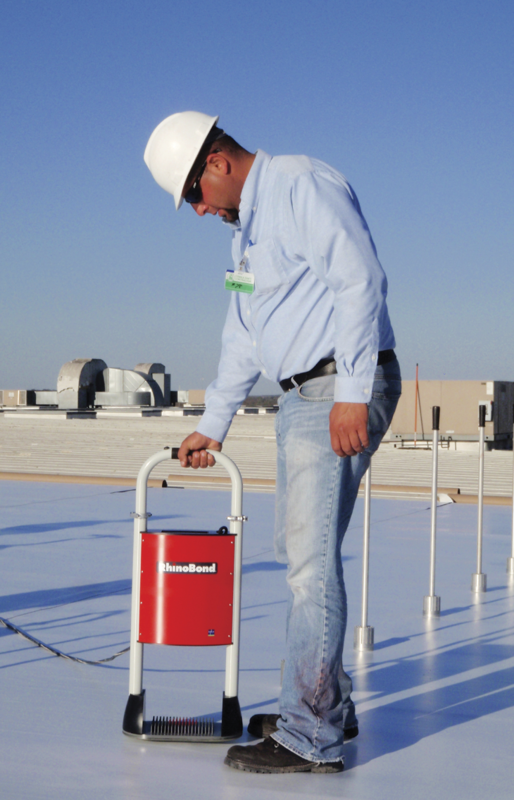 Technical support: What support services does the manufacturer offer that can reduce roofing contractor costs? Examples include design expertise, material take-offs, consultation on product substitutions, and in-field support. Customized products: Can the manufacturer supply custom-cut insulation components to help reduce field labor? Code compliance: Does the manufacturer have code acceptance reports for its products, including testing to industry standards?